Yesterday was a day worthy of noting: the first time my attempt to get my lady to a taco truck ended up being successful! Since I was getting out of work early due to the holiday, we both held off eating and met for a late lunch at Tacos Mobile Primo, located at the southwest corner of Franklin and Curtis in Boise (yes, this is the truck I mentioned at the end of the Portuguese Lunch Wagon entry). 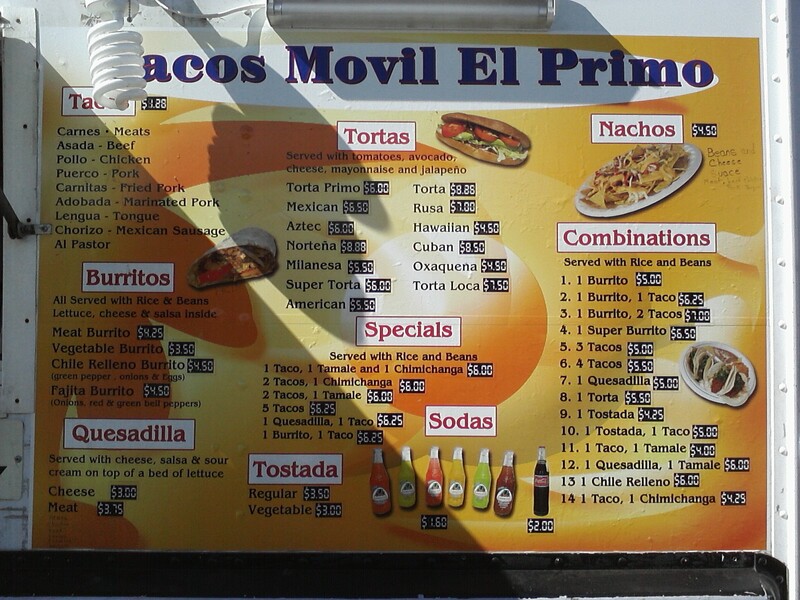 If you held a tongue taco to my head, I'd choose Tacos Mobile Primo at Curtis and Franklin in Boise. It has two tables, a varied menu and tacos ($1.20/each) that are just a little bigger and a bit more vibrant than the rest. I have to admit that I came very close to not enjoying my first experience there. As is my custom, I ordered the torta because it's my favorite and tends to be a better representation of the type of food a truck puts out than their tacos are. 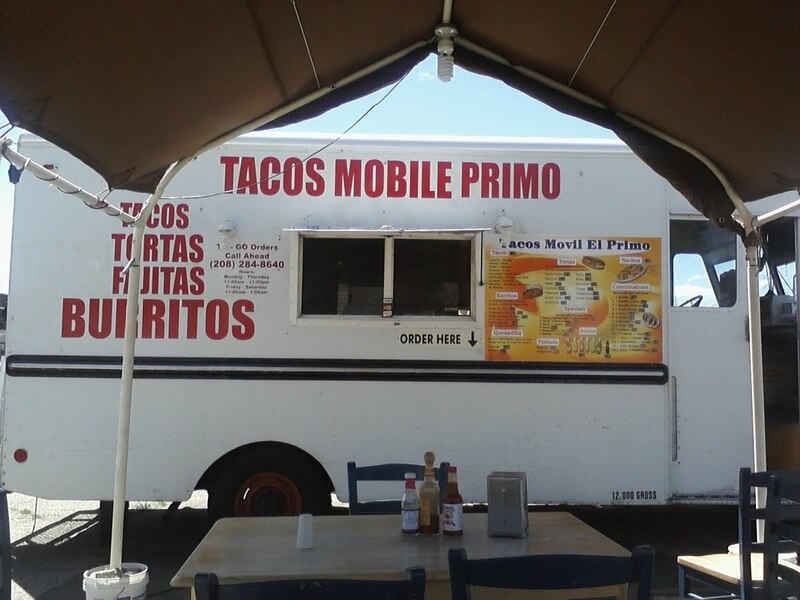 I would never order a torta from that truck again because it ended up being the skimpiest one I've ever had, and that would have been the end of it if my sister hadn't been with me that day and talked me into trying one of her chicken tacos. 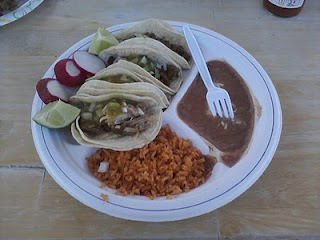 I have to agree with the Statesman that the tacos are indeed tasty and well-stuffed. Add that to the fact that they take debit cards, aren't that far from my office and are open until 1 A.M. on Fridays and Saturdays, and that's enough to keep them on my favorites list even if they aren't the best in town. That distinction would go to Campos or Lorena's, depending on my mood swing (though for my money you can't beat the tortas at Tacos Aguililla, a worthwhile trip even if they don't take plastic, close at 10 and are all the way over in Nampa). I was craving rice and couldn't decide between the carnitas and the asada, so I got the four taco combo with two of each.